It's fantastic to experience a long overdue show that showcases Pippa's brilliance and cultural awareness. Over the subsequent four decades Pippa Garner has pushed back against systems of consumerism, marketing and waste, creating a rich body of work including drawing, performance, sculpture, video and installation. Her uncompromising approach to life and practice has allowed her to interact with the worlds of illustra- tion, editorial, television and art without ever quite becoming beholden to them. 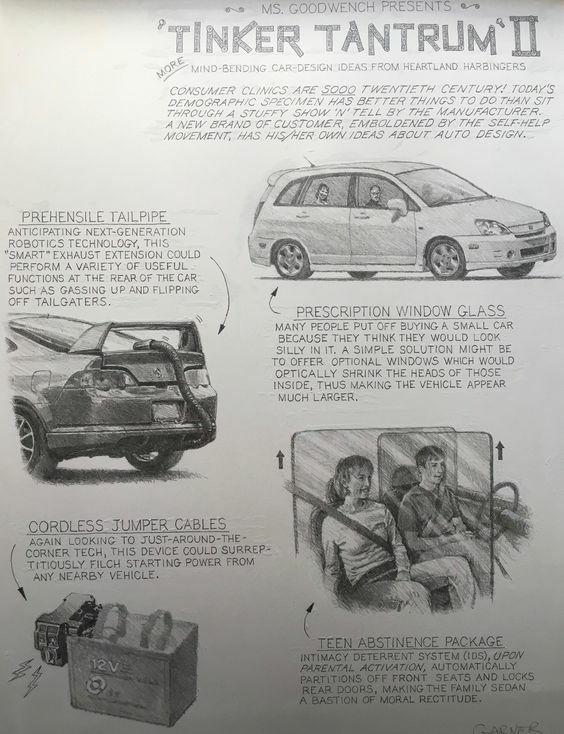 Pippa Garner’s first exhibition at Redling Fine Art includes a suite of early invention drawings as well as Garner’s original art from her monthly editorial page in Car & Driver (1995 - 2010) as well as in the pages of L.A. Magazine. All in pencil, these works show the breadth of Garner’s dry humor and political thinking. 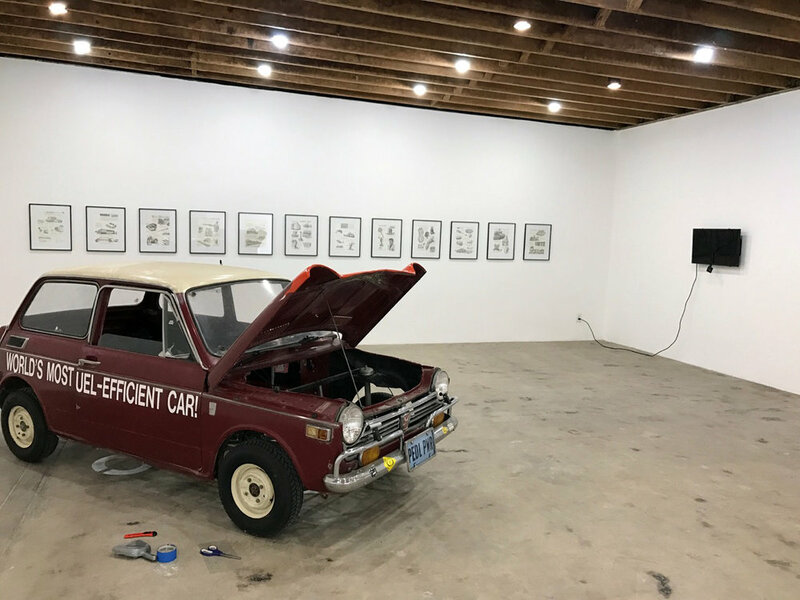 Also on view Garner’s 2007 work the "World's Most Fuel-Efficient Car,” a 1972 Honda 600 retrofitted to be human-powered, and Garner’s latest sculpture “Crowd Shroud”. Through these sculptures Garner toys with concepts of class and waste, pointing to the invisible labor that makes our culture possible, and more specifically the inefficiency inherent in using 3,000 pounds of metal to move 150 pound bodies. These works point to the invisible labor that makes this possible. 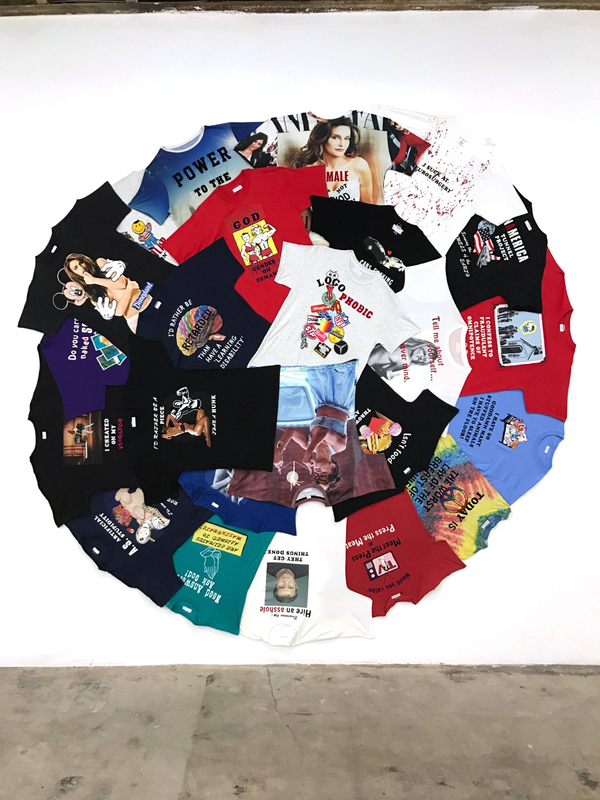 Alongside these works is a mandala of hand- made t-shirts. 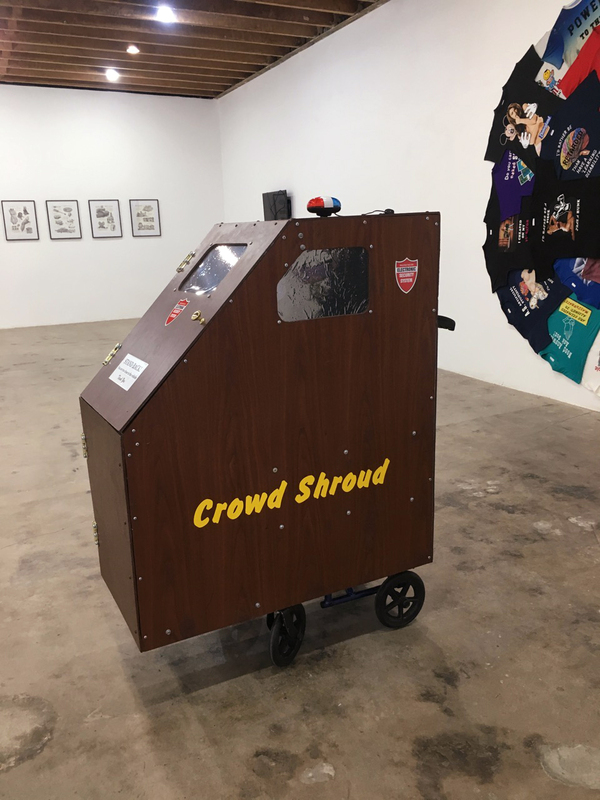 These graphic collages and her recent shirts are part performance part mode-of-production, as Garner has con- structed these works daily for over 10 years. Finally a selection of Garner’s video work dated 2013 is in- cluded. In these campy videos Garner portrays both a pre- and post- transition version of herself tackling topics such as procreation, drones, marriage, art, invention and therapy.